Hooray, it's now the 30th November, and the official last day of NaNoWriMo. How many words did you write? Did you even compete? If you didn't, so what? It's not compulsory and for many writers, EVERY month is NaNoWriMo. If you did take part, then huzzah! You've now entered a club full of people who are mad enough to devote an entire month to word counts, mad writing scrambles, and a Devil-may-care attitude to writing. It's liberating, in a way, to know that you're just getting the words down, and that the editing won't begin until December. How many words did I manage? Well as we all know, I started work on my Parrots and Piracy collection to give me something to do since I found myself eager to take part on 31 October. 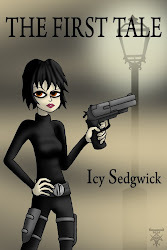 Trouble was, I was in completely the wrong mindset to write the stories, and I gave up after 2000 words. You see, my bounty hunter, Grey O'Donnell, has been tugging at my attention. On Monday night, I did some more work on the outline for my next book, and yesterday I actually started writing one of the early scenes (nope, not the first scene, I'm not writing the initial scenes in order and no, I don't know why that seems like a good idea). 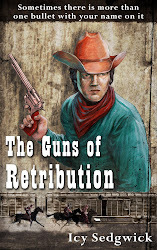 I'm really pleased with the reception my pulp Western, The Guns of Retribution, had, and judging by the feedback on Twitter, it seems like there is interest in a sequel. As I've said before, things will take a more supernatural twist in this one, which is making this somewhat more fun to write. Grey is currently taking great delight in making plot suggestions, too. But am I sad I didn't finish NaNoWriMo? No, not really. 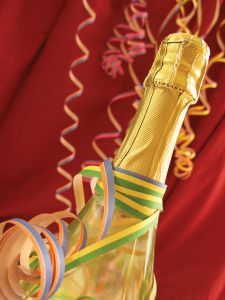 I "won" in 2008 and 2010, with my Cavalier ghost story and superhero noir story respectively, so it seems that odd-numbered years just aren't my year when it comes to writing 50,000 words in a month. I always knew it was a long shot so I'm not going to beat myself up about it, especially since I've been spending this month settling into a new job, working on my teaching qualification, and really gearing up to do my PhD (which is coming along swimmingly, by the way). I know a lot of writers always say "Oh but no one REALLY has time to do NaNoWriMo but we MAKE time to do it", and in that case, I'm sorry to disappoint you. Sometimes there just aren't enough hours in the day, and when your heart's not in it, then there's no use in trying to force something to happen. I am currently approaching 48,000 words... will reach 50,000 today. I'm not pleased with my effort, which has been really hit or miss due to Life, the Universe and Everything conspiring against me this year. Mostly, I "made time" to do this because I needed to force myself to write *something*, no matter how bad or pointless that something might have been this month. For me, I used NaNoWriMo this year just as a means of putting pen to paper, with the goal being nothing more than that. I have not yet approached being "on target" on any day this month and will hit the target line for the first time when I hit 50k today. It has really been an awful month, but I think good things will come from it in the end. And maybe next year you and I can have some good word wars or something! Whether you're pleased with it or not, you made the word count! Trust me, after that length of time with a story, you tend to hate it by the finish, but you never know, when you come back to it you might find something in it that you love. And yes, we should make some kind of pact next year! I wrote and submitted a science fiction story, and got hardly anything done on the novel WIP I was "going to finish" in November. Instead, I spent all my evenings and weekends rehabbing a bathroom and consumed with all things non-writerly. I know my limitations, at least some of them, and they won't let me devote an entire month to writing. I did get some publishing-related stuff done, which I wrote about in a blog post this morning, and that was successful by the metrics I set for it. Being a member of the Half-Century Club, I seem to be doing well at resisting the temptation to rush things. That helps, most likely.